3228. Has Germany Forgotten the Lessons of the Nazis? An Alternative for Germany demonstration. The reunification of Germany, in 1990, was a moment of exalted pride for the postwar federal republic. After decades of warning that a united country would resurrect the horrors of the 20th century, its neighbors and allies, many of them former battlefield foes, came around to accept and even welcome it. That’s in large part because, during those same decades, West Germany had undertaken a self-administered “Vergangenheitsbewältigung,” a mouthful of a German word that translates as something like “the overcoming of the past,” and refers to the country’s collective effort to grapple with the causes and legacies of the Nazi era. Students demanding action of climate change in March. Photo: Tom Brenner, Getty Images. A Green Real Deal — if framed and focused properly — could wipe that smirk right off that smirk right off Trump’s face. that smirk right off Trump’s face.Trump’s face. 3226. Paul Krugman on "Green New Deal"
The same people who purvey the disinformation are the same people who have fought a 60-year war against the revolution: the U.S. ruling class and the U.S. government. 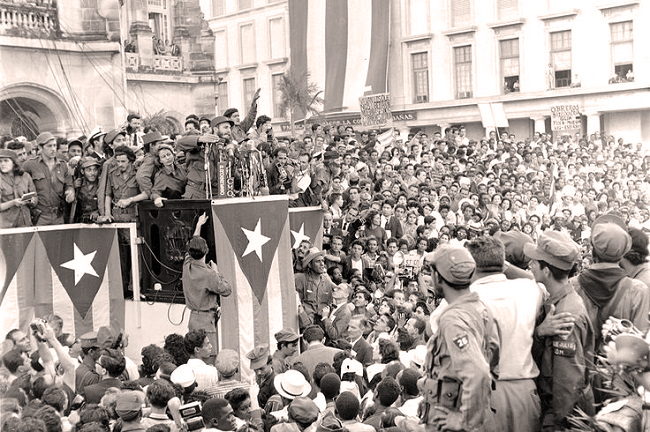 This war against the revolution included an invasion with a proxy army at the Bay of Pigs, numerous acts of economic sabotage, assassination attempts, and a 55-year economic blockade against Cuba that has yet to end. After the Spanish-American War of 1898, in which the rising U.S. empire defeated the declining Spanish empire in Latin America and the Pacific, the U.S.
the Ecuadorian embassy staff early on April 11. 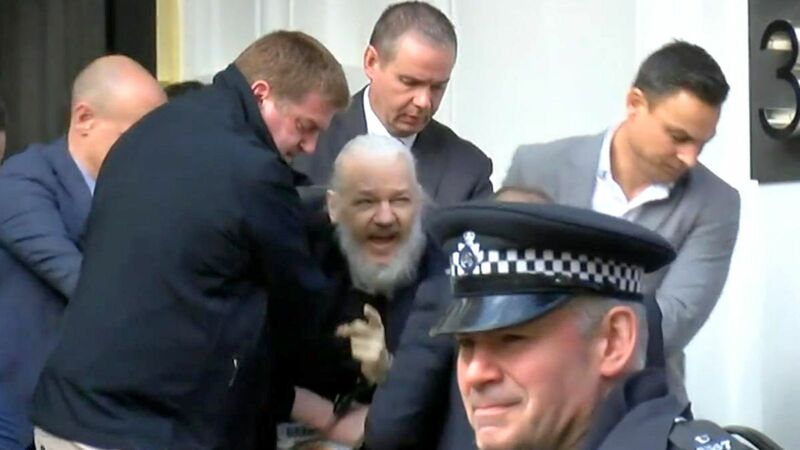 If we lived in a world where laws were respected, then Assange would be charged with jumping bail (a minor offense), fined or kept in prison for a few weeks and then released to return to his native Australia. But both the UK and Australia are, effectively, imperial satrapies and likely to bow to U.S. demands. The secret and not-so-secret state in both countries work closely with (or under) its U.S. masters. Why do they want him so badly? To set an example. To incarcerate and isolate him as a warning to others not to follow the Wikileaks path. Chelsea Manning has been re-arrested because she refused to testify to a Grand Jury against him. Since the Russian and Chinese intelligence agencies are pretty much aware of what the U.S. is up to in most parts of the world, the threat posed by Wikileaks was that it made its information available to any citizen, anywhere in the world, who possessed a computer. US/EU foreign policy and its post 9/11 wars have been based on lies, promoted by global TV and media networks and often accepted by a majority of North American and European citizens. Information contradicting these lies challenges the stated motives for war — human rights, democracy, freedom, etc.